Standing at the side of the beautiful St Lukes Church in West Baldwin and looking towards Greeba Mountain in the centre of the image with South Barrule Mountain to the far left of this image. I love old cemeteries. 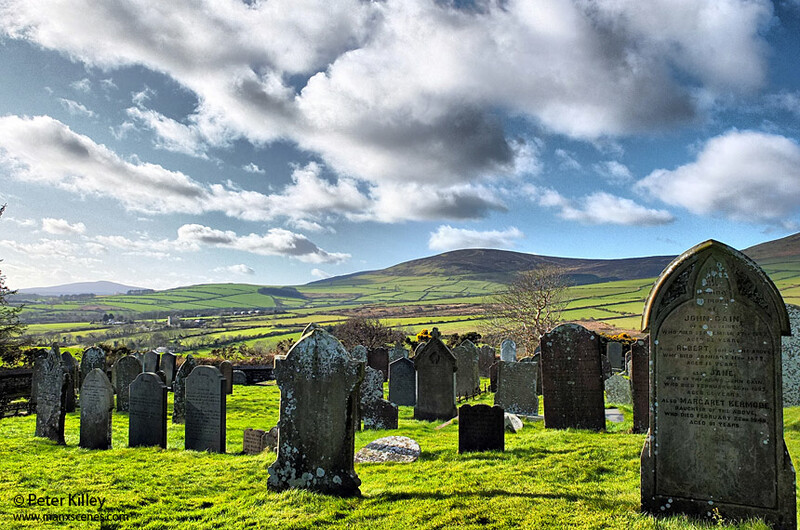 You have captured that very well, I like the contrast of the new beautiful sky and the old and dark headstones. A favourite place on the Island, along with the walk up to the old Tynwald site on the hill at the back of the church. Captured also in the Manx film ‘Waking Ned’… although not as well lit as this great shot.